People with disabilities have existed since the start of the human race. In Ancient Egypt people with disabilities were sometimes treated with respect, but the ancient Egyptians believed some diseases and disabilities were the work of demons living inside a person’s body. In Ancient Greece the birth of a child with disabilities was interpreted as a punishment on the parents by the gods. In Sparta deformed and sickly infants had to be abandoned by law, and a child later found to be an ‘idiot’ would also be abandoned. In Ancient Rome, there were similar views and babies with disabilities could be legally exposed, sometimes being abandoned in clay jars in temples or out on the road. The Celts were more enlightened and paid taxes to support people who were sick or disabled. As Christianity spread, charity towards people with disabilities or illnesses was preached. The Church set up orphanages for abandoned children in the 3rd and 4th centuries. But some people still thought that disability was the result of sinful living or that the disabled child was a changeling or a demon, not the real child at all. In the Middle Ages people with disabilities lived in their communities, either with their families or in convents or monasteries, though some had to live on the streets and beg. There are 13th century documents distinguishing between people with learning disabilities (‘natural fools’) and people with mental illness (‘lunatics’), but this distinction was not always recognised either then or later. People with learning disabilities are sometimes depicted in the art of the past. Andrea Mantegna, an artist of the 15th century, included people who appear to have Down’s syndrome in his paintings. Elizabethan Poor Laws were introduced in 1601 and these gave local parishes the responsibility to provide accommodation in a poorhouse for destitute people with disabilities (the ‘impotent poor’). The Industrial Revolution began in the 18th century and many machines were tricky to operate. If you couldn’t operate the machines, you couldn’t work and earn money, so had to be looked after. The first type of institutional care was the Workhouse, not a good place to live. Some of the first attempts to set up institutions to help people with disabilities were in Berlin in 1842 and Leipzig in 1846. 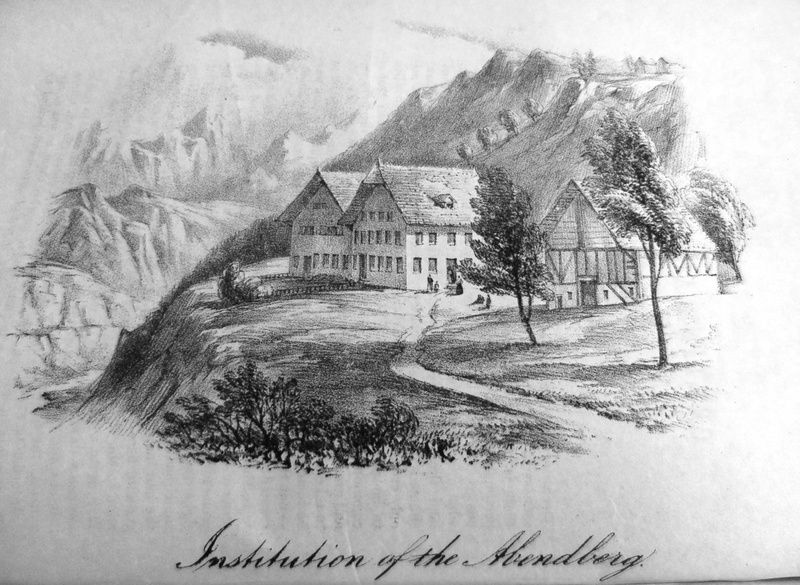 Johann Jakob Guggenbühl created the Abendberg on a mountain in Switzerland in the belief that cretinism could be cured at high elevations. In 1846 the Misses White, two sisters of Bath ran a smaller project in the Magdalen Hospital. The French physician Édouard Séguin, was an early advocate of education for people with learning disabilities. He migrated to the USA and established schools for the treatment of the mentally handicapped. Dr John Connolly, after seeing the work of Seguin in Paris, conducted a small experiment in separate education and accommodation for ‘idiots’ within the Middlesex County pauper lunatic asylum. He concluded that a separate asylum was needed and, along with Dr Andrew Reed, was involved in the committee to set up Park House, an asylum in London. 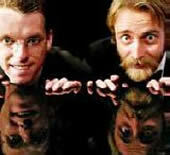 This was followed in 1855 by the first purpose built asylum, the Royal Earlswood Asylum for Idiots in Surrey. 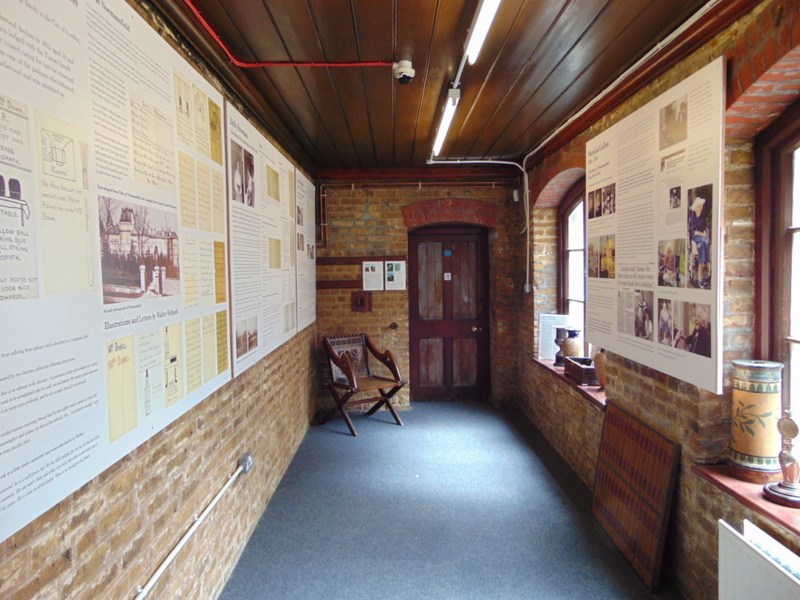 The aim of the early asylums was to train and educate people with learning disabilities. Mrs Ann Serena Plumbe’s son Andrew had a learning disability. She observed many children with disabilities in Whitechapel and this prompted her to assist with the setting up of a dedicated institution. The Queen’s cousins, Katherine and Nerissa Bowes Lyon lived in the Royal Earlswood. It was here, also, that Dr John Langdon Down described the condition that is now known as Down’s syndrome. 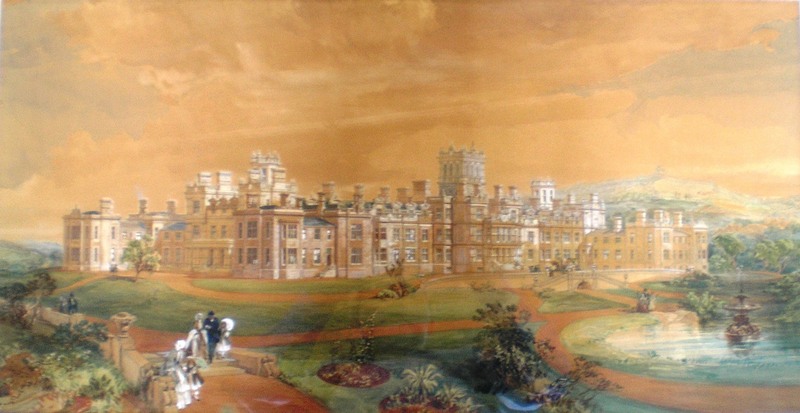 In 1868 Dr John Langdon Down opened Normansfield, a superior institution to many others, offering care, education and training. Scientist Sir Francis Galton was a pioneer in eugenics, coining the term in 1883. Some eugenicists held that only the fit and healthy should be allowed to have children. This idea had a serious and terrible impact on people with disabilities, especially in Nazi Germany. From the 1870s George Edward Shuttleworth was a pioneer in psychiatric services and legislation, particularly in respect of differentiating those with learning disabilities from the insane. In 1895 he wrote an important and positive book, ‘Mentally deficient children – their treatment and training’. The Mental Deficiency Act of 1913 meant that people with learning disabilities could be forced to live in asylums, many never returning to their families. Negative attitudes towards people with learning disabilities existed around the world. At one time in the USA, people were only allowed to get married if they had a certificate to say they were normal and well. It was also common practice in some countries such as Sweden to stop people with learning disabilities having children by sterilising them. This is still sometimes carried out today, for example in Australia. During this period the Austrian paediatrician Professor Hans Asperger, who worked in the area of autism, identified the condition that bears his name. It is said he helped many with the syndrome to survive by telling the Nazi authorities that people with autism could be useful to the state because of their unusual and useful abilities. After the war came some hope. Judy Fryd, the mother of a child with a learning disability, set up ‘The National Association of Parents of Backward Children’, which later became Mencap. Dr Karl König led a group that founded the first Camphill community in 1940. These therapeutic communities for people with disabilities are based on the philosophy of Rudolf Steiner and have an emphasis on music and art. Some have an organic garden, a workshop for weaving and a bakery that sells its products to the local community. From 1948 the NHS took control of the institutions which were then called ‘hospitals’. At the beginning of the 1950s there were thought to be 55,000 people with learning disabilities living in hospitals in England and Wales. In 1948 the United Nations adopted The Universal Declaration of Human Rights. Article 3 states that everyone has the right to life, liberty and security of person. A report published by the National Council for Civil Liberties in 1950 said that the living conditions of those in hospital was very poor and that patients were often stopped from leaving because they were needed for work in the hospital. Some didn’t even have a learning disability. During the 1950s and 1960s researchers found that many of the people who lived in the hospitals actually had the skills to live out in the community and get jobs. Research by Professor Jack Tizard at the Maudsley Hospital in 1958, called the ‘Brooklands Experiment’, showed that children who lived in small houses in the community developed better than those who lived in hospitals. This work helped with the move towards deinstitutionalisation and the creation of smaller communities. Dr Wolf Wolfensberger helped change attitudes to disability. He recognised that society often labels people who are different and then treats them as being of less value. He believed people with disabilities should have access to the same patterns of life and conditions of everyday living as other people. Although the Mental Health Act of 1959 required that more community care should be provided, the number of people in hospitals continued to rise, with more hospitals being built to meet demand. But conditions in these hospitals continued to be poor, and in 1969 the Ely report exposed dreadful treatment of patients. Care was described as old fashioned and ‘custodial’. The Canadian Catholic philosopher, theologian and humanitarian, Jean Vanier, founded L’Arche in 1964. L’Arche Communities for people with and without learning disabilities allow people to share their life together in a community. 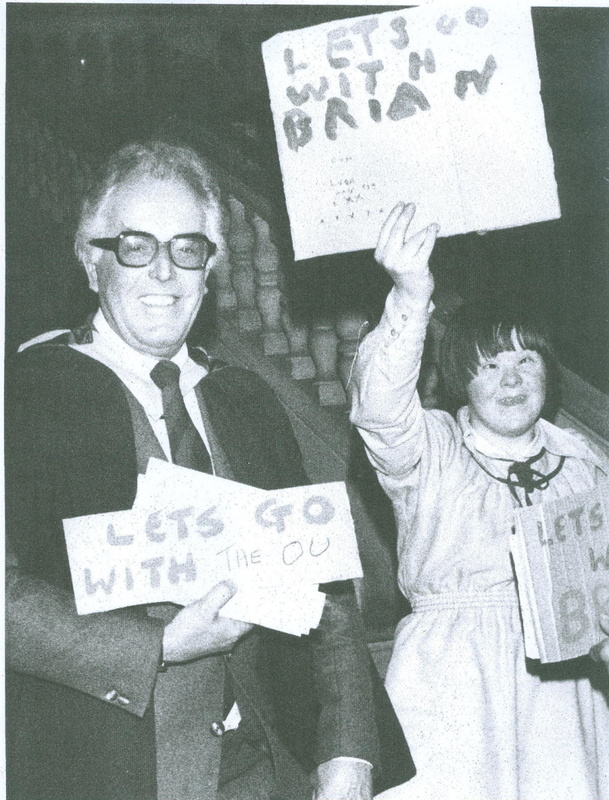 Lord Rix (Brian Rix, the actor) campaigned tirelessly on behalf of people with learning disabilities. The father of a child with Down’s syndrome who lived in Normansfield he was president of Mencap and influenced important legislation. The first White Paper concerned with the care of people with learning disabilities was published in 1971. It was called ‘Better Services for the Mentally Handicapped’ and said that not enough progress had been made in developing community services and getting people out of hospital. Several Public Enquiries were set up to look into NHS mental hospitals. The Jay Report (1979) said that the lives of people with learning disabilities should be normal and they should be part of their communities. This was based on an idea called ‘Normalisation’ that had been followed in Denmark since the late 1950s. By 1984 the hospitals started to close and people moved to residential care homes in the community. Normansfield and Earlswood both closed in 1997. In 1990 the NHS and Community Care Act said that care should be provided by a range of services and individual care packages designed. For the first time, people with learning disabilities were also entitled to Direct Payments, meaning they could choose the services they wanted. The Social History of Learning Disability Research Group began in 1994 at the Open University. It is committed to researching and disseminating learning disability history in ways which are inclusive of people with learning disabilities, their carers, relatives and advocates. In 2001 ‘Valuing People’ was published. It was the first white paper about learning disabilities for 30 years. It was based on 4 key principles; rights, independence, choice and inclusion. ‘Valuing People Now’ was brought out in 2009 to set new goals to support more people with learning disabilities to get homes and jobs and lead fulfilled lives. The Equality Act came into force in 2010 providing a law to tackle all forms of discrimination. In 2011 BBC Panorama exposed the abuse of residents at Winterbourne View Hospital in South Gloucester. It showed abusive treatment of vulnerable adults and resulted in prison sentences for some staff. The documentary and revealed how care can go very wrong. This history shows us that many good things have happened to help change attitudes and improve the lives of people with learning disabilities, but there is still work to be done.